Explain to your den or an adult family member what geology means. Collect samples of igneous, sedimentary, and metamorphic rocks. Explain how each was formed. Collect samples of three minerals. Explain to your family or den what a mineral is and show and tell about the minerals you collected. Make a plaster cast of a fossil. Make a special collection of rocks and minerals that illustrates the hardness scale. Give examples of sedimentary, igneous, and metamorphic rocks. Gather several different types of rocks. Compare them and put them in groups according to physical properties such as color, texture, luster, hardIless, or crystals. Describe the effects of wind, water, and ice on the landscape. Make "pet rocks" using rocks, paint, and glue-on eyes. Tell a creative story about your pet rocks. Draw a diagram showing different types of volcanoes or draw a diagram that labels the different parts of a volcano. Make a collection of five different fossils and identify them to the best of your ability. Make a poster or display showing 10 everyday products that contain or use rocks or minerals. Visit a mine, oil or gas field, gravel pit, stone quarry, or similar area of special interest related to geology. With your parent or adult partner, visit with a geologist. Find out how he or she prepared for the position. 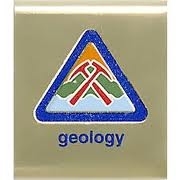 Discuss other careers related to geology. Draw the inside of a cave showing the difference between stalactites and stalagmites.